The Hub 7 is the latest addition to the JLT foodie scene. Located in Cluster M on the ground floor of Icon Tower 1, the restaurant owes its name to the seven styles of cuisine being offered. 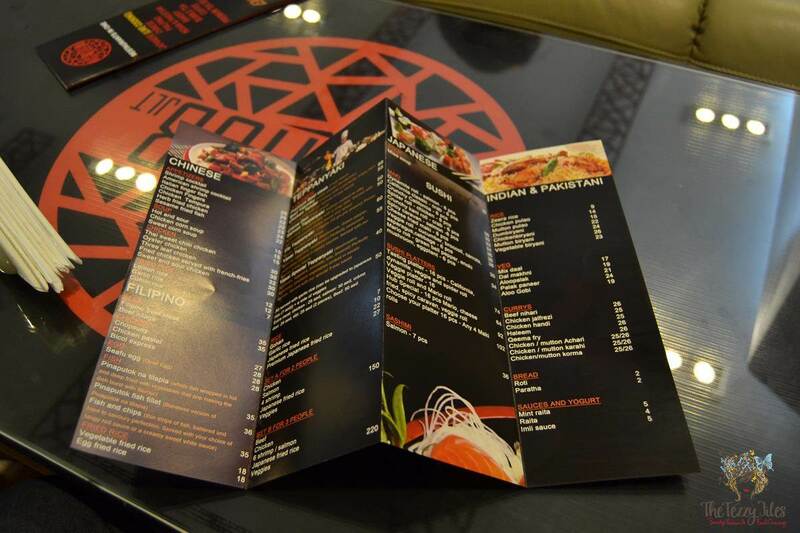 The seven styles under Hub 7 are: Japanese, Chinese, Filipino, Indian, Pakistani, Italian and a Bakery section. We had the pleasure of visiting The Hub 7 last week, and were probably one of their first guests at their innovative Japanese teppanyaki table! The restaurant itself is clean and simple. It has the look and feel of a neighbourhood cafeteria that has been spunked up with stylish branding. The staff are super friendly, and looked genuinely pleased to see us. Apart from us, there was only one table being occupied. Obviously the news of their opening a month ago has been missed by many. 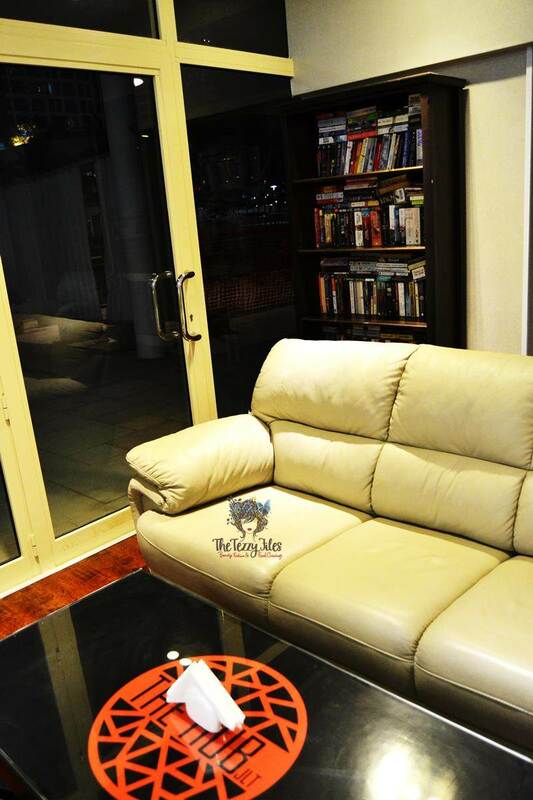 Upon arrival, we were seated on their cushy leather sofas with a view of the lakes. A bookshelf piled with fiction takes up a corner making this an ideal space to spend endless hours nose-deep in a good read with endless supplies of freshly baked goodies from the bakery. However, we didn’t have bakery goods here. Instead we sipped on their Caramel Iced Tea. 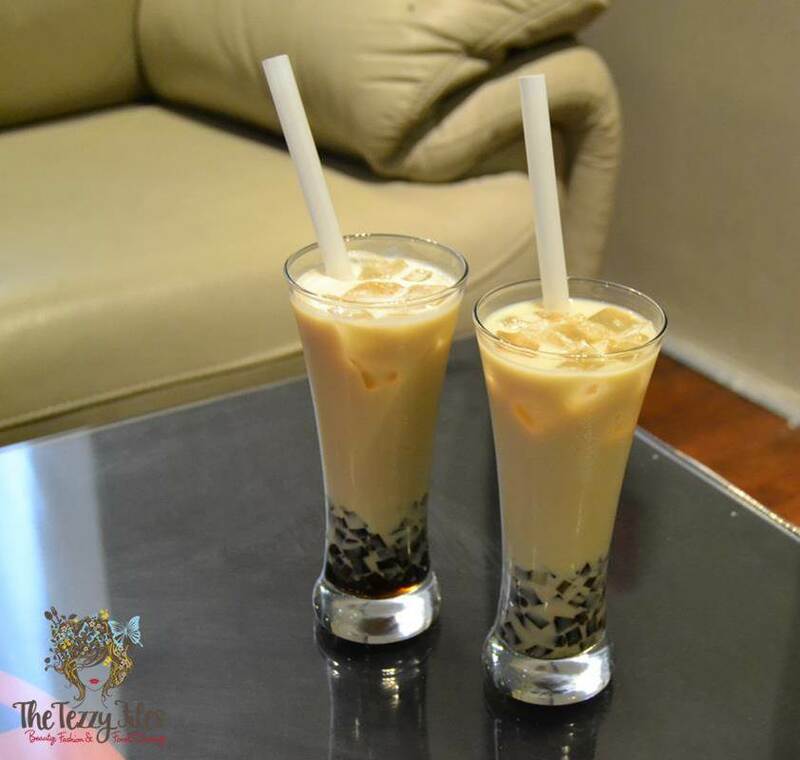 This drink is a bubble tea, but instead of the tapioca bubbles, it was served with chunks of coffee gel. Who said tea and coffee should never be mixed? The sweetness of the milky tea infused perfectly with the bitterness of coffee. After our last sips of tea, we were guided to their teppanyaki table. 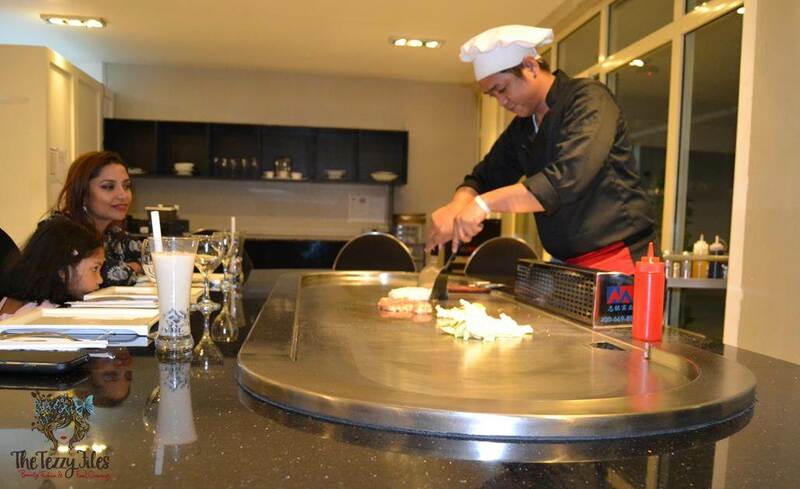 The Hub 7 has 2 teppanyaki tables, and each can seat 10 guests. It is essentially a live station with seating created around the brim. Chef Dari was our teppanyaki host for the night. He kick-started the experience with a few juggling tricks. Cleaver knives, spatulas and forks flew up dangerously close, but we had full confidence in his skills and applauded his gusto. Chef Dari hails from the Philippines, and has celebrity connections. 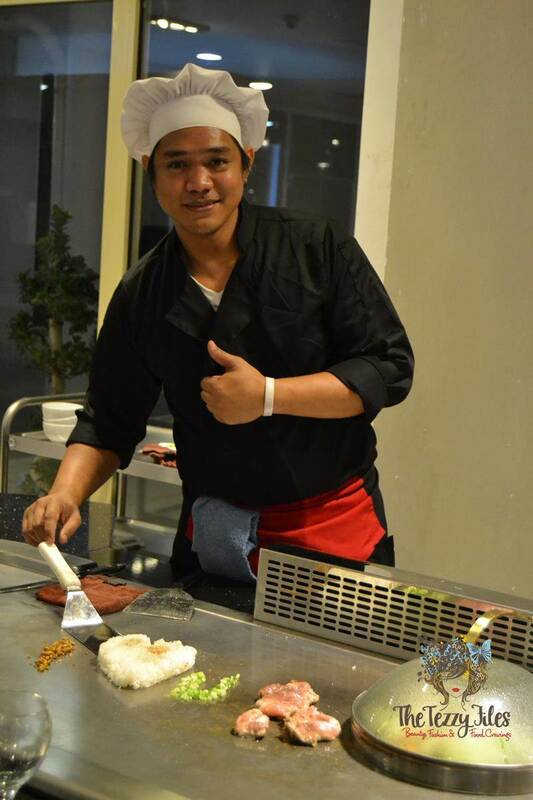 He is related to Marvin Agustin, one of Philippines’ best loved actors who’s love for cooking led him to form a culinary school. Chef Dari specializes in Japanese cuisine, and served up Japanese Teppanyaki Chicken along with Japanese Fried Rice and stir-fried vegetables, all of which were cooked right before our eyes. To the amusement of my daughter, Chef Dari spells out ‘I Love You’ with the raw ingredients. Given the chicken is right next to it, perhaps it reads “I Love You Chicken”? The meal was served with a Japanese-style steak sauce and Satopi sauce (a Japanese sauce with a Miso base). The steak sauce goes well with non-veg dishes, and the mild sweetness of the Satopi can be had with veg and non-veg alike. 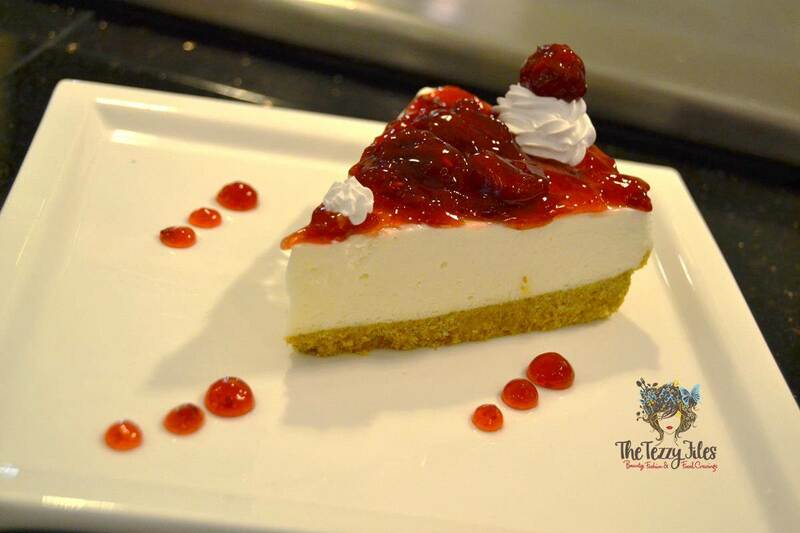 We ended the meal with a shared serving of Strawberry Cheesecake. The desserts here are huge! One serving is sufficient for two. Overall, The Hub 7 offers an interesting experience. A laid-back casual-style dining atmosphere coupled with the efficient service of very friendly staff makes The Hub 7 an ideal neighborhood hang-out for JLT dwellers. We really enjoyed our teppanyaki dinner. The chicken was beautifully moist and succulent, and the exotic Japanese flavors presented on the final serving were to die for. My only tiff with the main-course would be the quantity. Given the tea and the dessert round was very generous, the main course left us wanting for more. 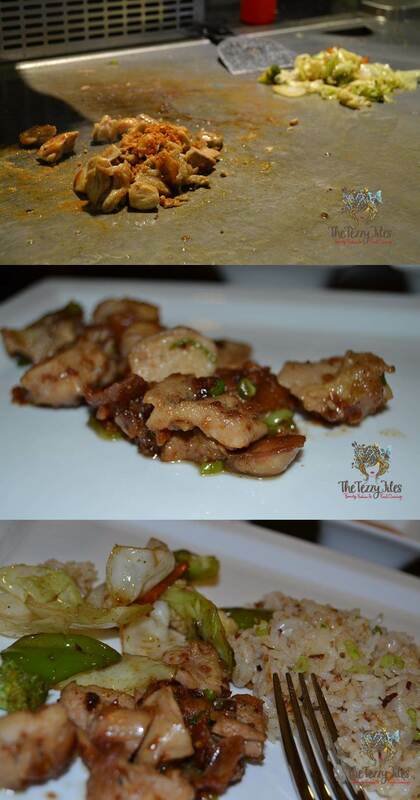 The food really is very delicious here, and also very reasonably priced. With 7 different restaurant styles rolled into one, only time will tell if this newbie will live up to the enthusiasm it has opened with. I wish its staff all the best! A mix of nationalities make up the kitchen of The Hub 7. Posted in Restaurants and tagged bakery, chinese, dubai, filipino, indian, Italian, jlt, pakistani, restaurant, restaurant review. Bookmark the permalink. One of the best multi cuisine restaurant in Dubai – Hub7. 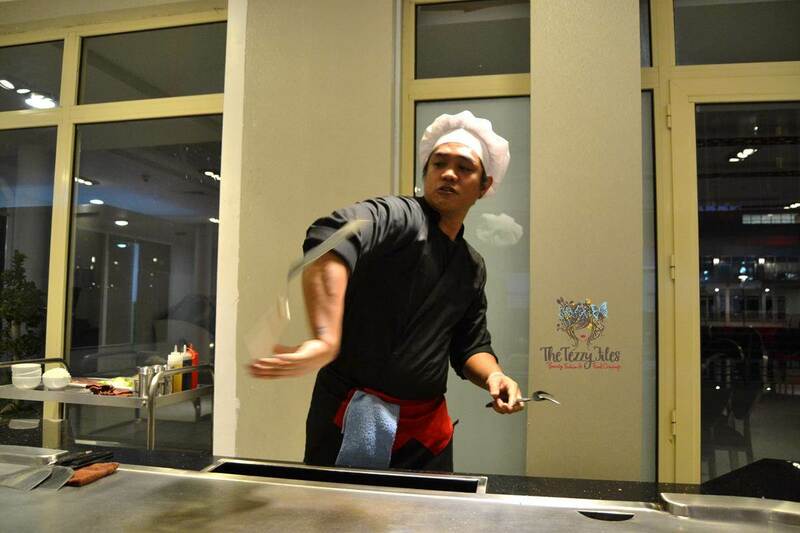 Teppenyaki – special feature of Hub7. Japanese food lovers should definitely try it.